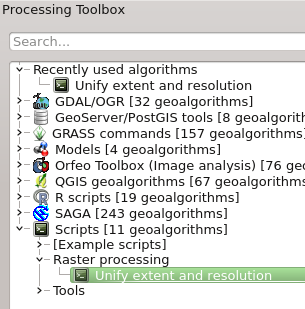 My post about modification of extent and resolution of rasters drew quite a bit of attention and I decided to make a small New Year's present to the community and create a QGIS Processing script to automate the process. 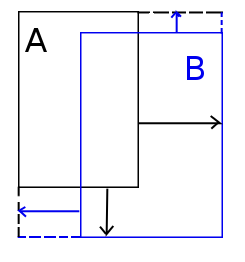 Lets describe parameters. 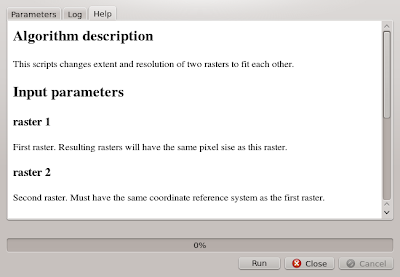 'rasters' are rasters that you want to unify. They must have the same CRS. 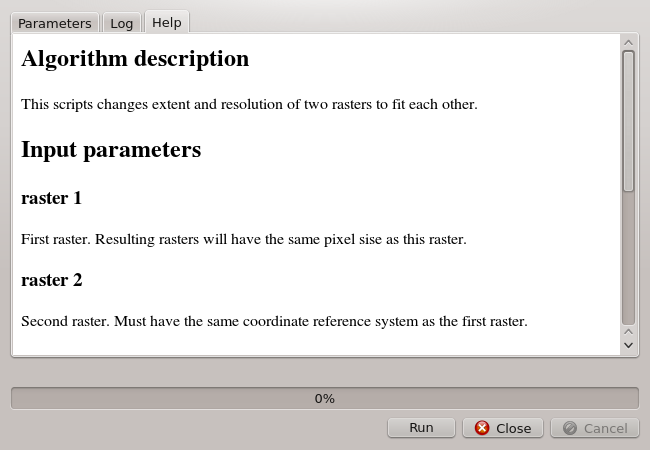 Note that both output rasters will have the same pixel resolution as the first raster in the input. 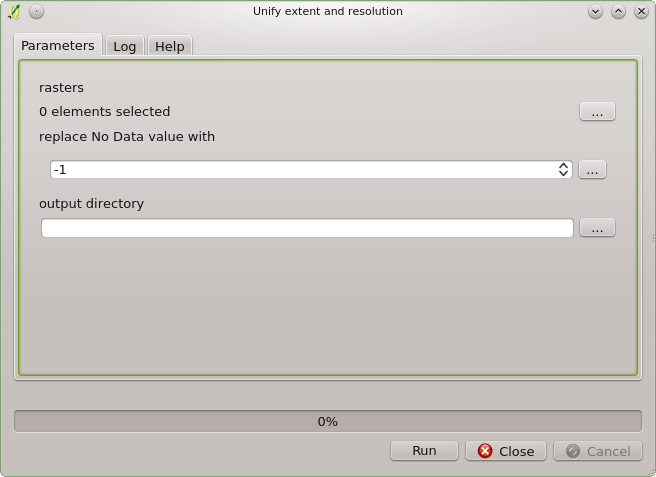 'replace No Data values with' will provide value to pixels that will be added to rasters and replace original No Data values with the value provided here. 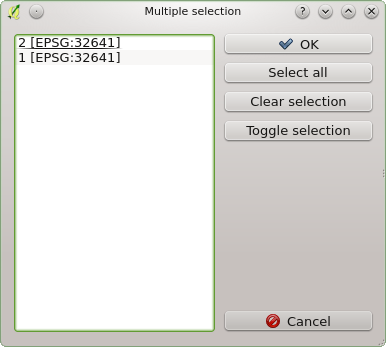 Note that in output rasters this value will not be saved as No Data value, but as a regular one. This is done to ease feature calculations that would include both of this rasters, but I'm open to suggestions and if you think that No Data attribute should be assigned I can add corresponding functionality. P.S. I would like to thank Australian government for making the code they create an open source. Their kindness saved me a couple of hours. Hi I don't seem to be able to download your achieve/script. Each time I click the hyperlink it just takes me to a page with the mega logo on it. Any assistance would be great. 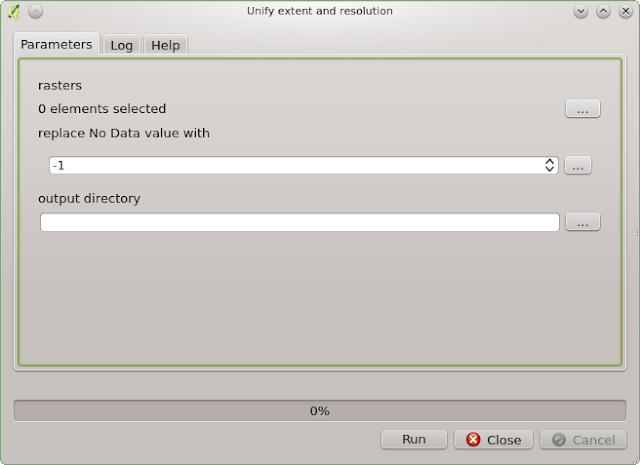 'NoneType' object has no attribute 'GetProjection' See log for more details error. maybe you know how can I get it work? I just encountered the same problem. Did you find a solution?